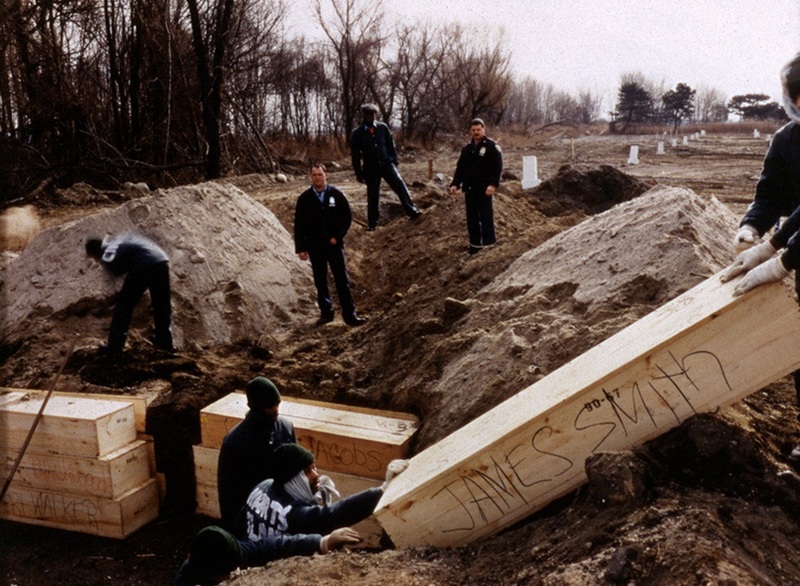 Since 1980, inmates at Rikers Island have buried 62,000 unclaimed and unidentified New Yorkers in mass graves on Hart Island, a small, mile-long piece of land to the east of the Bronx that is the largest tax-funded cemetery in the world, holding over one million bodies. Before its current use, the island served many uses, including a prison, psychiatric institution, tuberculosis sanatorium, and a boys’ reformatory. The Department of Corrections gained control of the land in 1968, and it has been closed to the public ever since. 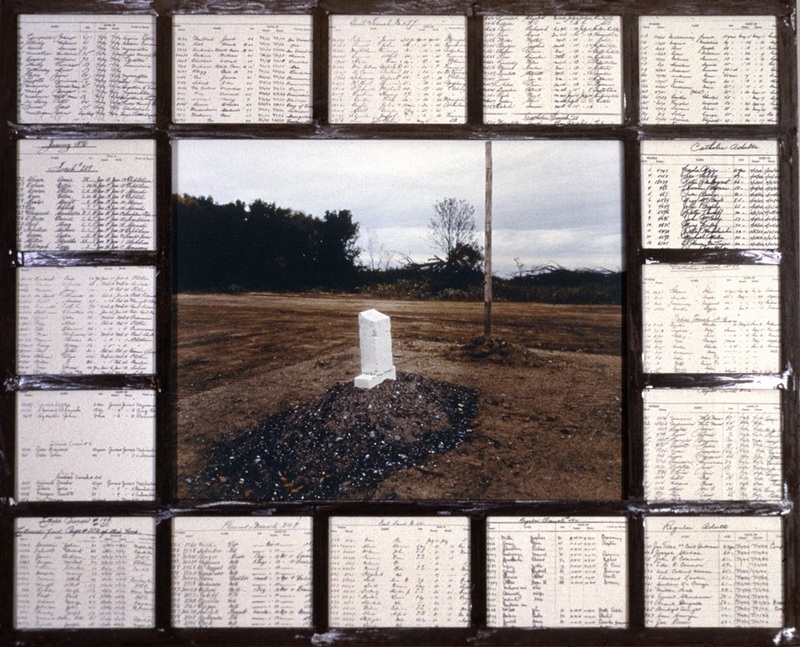 That’s all changing, though, thanks to artist Melinda Hunt, who created the Hart Island Project, an interactive online memorial that provides access to information about the burials on Hart Island and tools for storytelling so that no one is omitted from history. The site’s Traveling Cloud Museum lets users look up information on their loved ones and share their personal memories. Last year, Melinda led the introduction of legislation that would give control of the cemetery to the Department of Parks and Recreation so that New Yorkers can freely visit the island and its graves. And coming up this Labor Day weekend, Emmylou Harris will sing at the gated entrance to the dock, calling attention to the Hart Island Project’s efforts. We chatted with Melinda about her passion for Hart Island, how the Project has evolved, and what we can expect in the near future. Where did your fascination with Hart Island come from? Do you have a personal connection? I don’t have any relative buried on Hart Island because I grew up in Canada. The Hart Island Project began in 1991, soon after I became a naturalized citizen. As an immigrant artist, I was interested in re-photographing Jacob Riis’s first images. I collaborated with Joel Sternfeld to produce a book published in 1998. We were the last people able to photograph the burials and the island. After the book, Hart Island, was published, people began contacting me for help getting access to Hart Island. I had already arranged for one mother to visit in 1994, and we photographed her visit for our book. Other people wanted to visit the island as Vicky had. Tell us a bit about Shawn Sheridan and how your interaction with him influenced the Hart Island Project. Thus, the Hart Island Project began well before I met Shawn Sheridan. It was the subject of censorship by the city in 1993. This led me to produce a public artwork at Madison Square Park in 1994, celebrating that park’s history as a potter’s field and the artwork, Circle of Hope, led to the revitalization of Madison Square as well as the current, seasonal public art program at that location. The Hart Island Project was the inaugural exhibit at the Lower East Side Tenement Museum in 1997-98. I was sort of an expert by the time Shawn Sheridan contacted me in 2007. 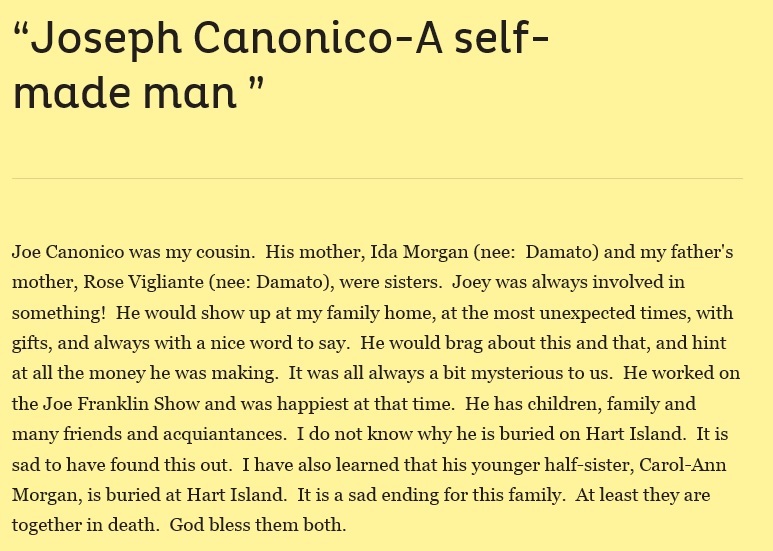 His father was buried in July 1982, the same month as a homicide victim in my film, “Hart Island: An American Cemetery.” Sean was unable to get his father’s burial record from the DOC. They told him they could not find it. I recalled seeing a page from that ledger book presented as evidence in the 2005 homicide trial of Mark Ferrara in Jersey City. I told Shawn that I felt the DOC had that ledger book and that we could work with an attorney to get his father’s burial record. I met with David Rankin, an attorney who specialized in FOIL requests. He suggested that we get a large number of burial records. So that is how I acquired the first batch of records for our current database. How has the website grown since you first started it? The website has grown because we are continually adding burial data and now GPS information. We now have mapping tools combined with burial information and user-added stories. I was lucky enough to get a new media grant from NYSCA in 2011 and found willing collaborators in graphic designers Studio AIRPORT, front-end developers Red Dot, and back-end developers Inspire Innovation, all based in Utrecht, Netherlands, to build the Traveling Cloud Museum. What type of stories are people telling on the site? Most of the stories are personal stories written by people who have never had a chance to publicly talk about a person missing from their lives. How does one go about visiting relatives or friends buried there now? Currently, no one can visit actual grave sites without an attorney to negotiate their visit. Visits must be planned well in advance. It is not a comfortable process for most people, and things tend to go wrong with so many requirements to be met prior to each visit. What if someone knows no one buried there — can they still negotiate a visit? The DOC will not let people visit either way. I am interested in securing the rights for everyone to visit regardless of their relationships. The initial censorship of inmate writings in the artwork I designed with Margot Lovejoy for City Hall Park titled “Just Outside the City” is what drove me forward to produce other works to overcome the prohibitions against Hart Island stories being told. Graveside commemoration is freedom of speech and is important to history and art. I am committed to defending the rights of anyone to visit a grave, especially on public land. We know that your efforts led to the introduction of legislation in 2014 that would give control of the cemetery to the Department of Parks and Recreation so that people can freely visit the island. What are the next steps in seeing the act pass? Bills 133 and 134 are legislation that was re-introduced on March 12, 2014. The next step is a public hearing for these bills. I hope that lots of people will show up for these hearings that are yet-to-be scheduled. Emmylou Harris has offered to do a benefit concert in August and we are looking for a venue. One of the former potter’s field parks would be great for a concert. But the Parks Department is not happy about gaining jurisdiction, so I am not sure if they will offer a park. Public support is critical right now to the success of this bill and funding for a park. What are the other public parks in the city that were once burial grounds? The first public parks in New York City came into the public domain as public cemeteries. Madison Square was the first to designated as “a public square forever” by the City Council. This established a tradition of subsequent potter’s field becoming public parks in New York. With the exception of the potter’s field that was located under what is now Park Avenue, where the bodies were removed and reburied on Randall’s Island to make way for the New York Central Railroad tracks, these parks are still burial grounds. The potter’s fields saved green space for future generations of New Yorkers. How will the interactive elements of the Hart Island Project website factor into the physical memorial? The website will be useful to help people to navigate to graves on Hart Island and the software will permit graveside storytelling. I am looking forward to location-based stories and photos being posted. I am also sensing a community forming within the website that will extend to location visits. There is an area of Hart Island that was set aside for segregated AIDS burials. These names are not in the database. I am hoping that the location will become an area for an AIDS memorial. Many of the people in our database are listed as AIDS victims in the ledgers. We have not done anything with this material as I have not secured any funding to date to produce elegies. 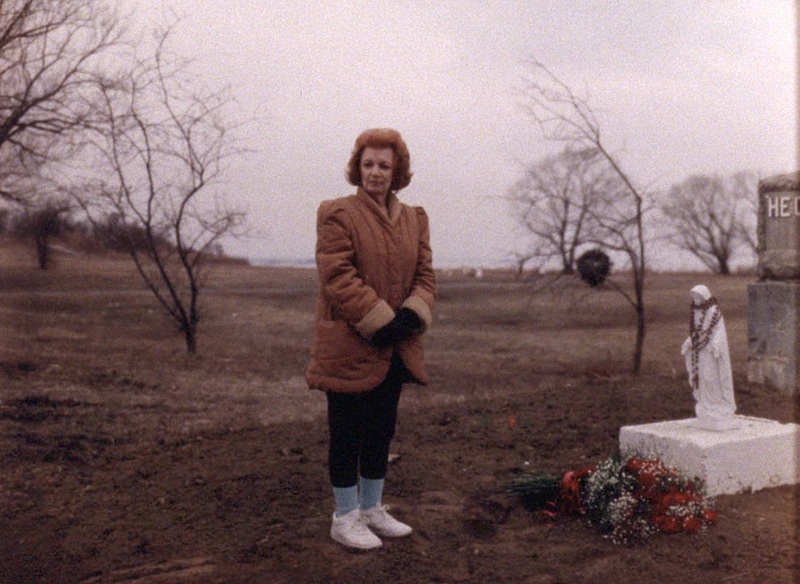 I am still hoping to get a grant to focus creatively on the AIDS burials, and I hope there will be a competition for a physical memorial at the southern end of Hart Island. Where do you hope Hart Island will be in its journey a year from now? 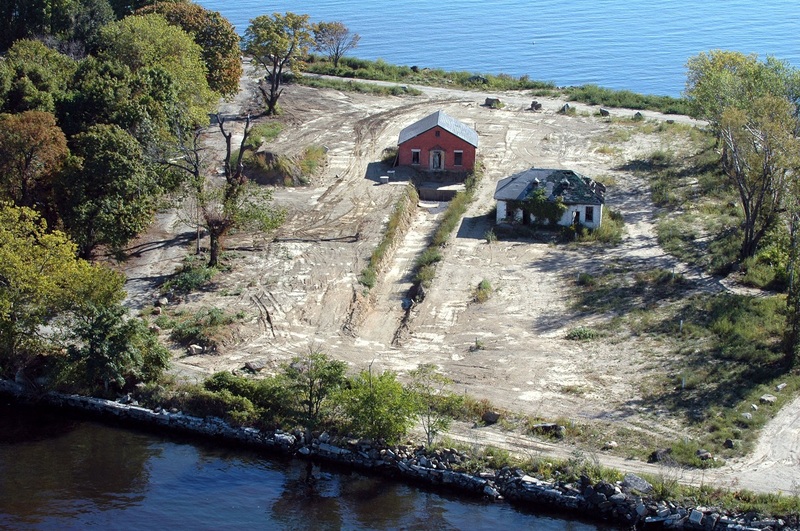 Hart Island will become a public park the moment the legislation goes into effect. I am not sure when that will happen. It’s been a very long journey for many generations of people who came to New York with hopes for a new start. I hope the City Council takes the history of one million burials to heart and provides an appropriate level of funding to safeguard the site for future generations. New York has a long tradition of green burials throughout the city. Hart Island is the last rural cemetery. I hope the burial process becomes one of renewal rather than punishment. The Department of Correction sends an old message of urban blight that’s out of date. We need to build a better image of City Cemetery in this century and move away from the 19th century workhouse mentality.